One of the more common reasons for which patients are referred to me is anemia or a low red blood cell count. Red blood cells are truly important as they carry oxygen to all parts of the body. Without an adequate oxygen supply, body organs suffer damage and the body goes into shock. In this week’s blog post, I discuss the function of red blood cells and review the major causes of and treatments for anemia in dogs and cats. 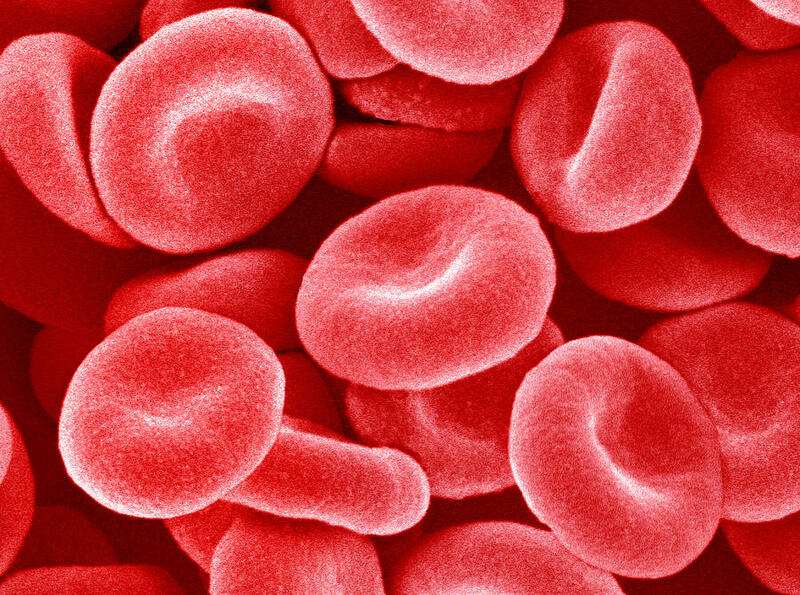 Red blood cells (RBCs), also called erythrocytes, are the most abundant cells in the bloodstream. These cells don’t contain structures commonly found in other cells, including nuclei (the “brain” of cells) and organelles like mitochondria (the “powerhouse” of cells). 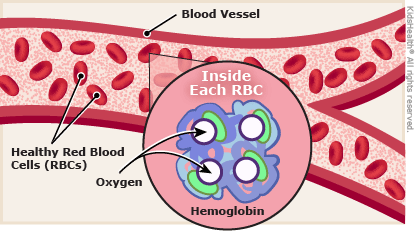 Rather RBCs are packed with hemoglobin, a protein that carries oxygen throughout the body. In fact each hemoglobin molecule is capable of transporting four oxygen molecules to vital tissues. Thus any disruption of RBCs can affect the oxygen-carrying capacity of the blood. Any injury that causes bleeding results in a loss of RBCs. Minor bleeding does not commonly induce a state of anemia, but understandably severe hemorrhage and/or chronic bleeding can readily cause a low RBC count. The bone marrow is the site of production of erythrocytes. It is the red blood cell factory. When a disease process damages the bone marrow, the ability to produce RBCs may be negatively affected. The immune system is charged with many tasks in the body, one of which is removing from circulation red blood cells that have reached the end of their functional lives. Unfortunately for various reasons the immune system can turn on itself, destroying properly functional erythrocytes. This is a condition called immune-mediated hemolytic anemia. To learn more about this condition, click here. Additionally certain drugs (i.e. : acetaminophen), infectious organisms, and foods (i.e. : onions, garlic, leeks) can cause red blood cells to rupture. Measuring RBCs is relatively straightforward. A small sample of blood is collected for a non-invasive test like a hematocrit (HCT) or complete blood count (CBC). 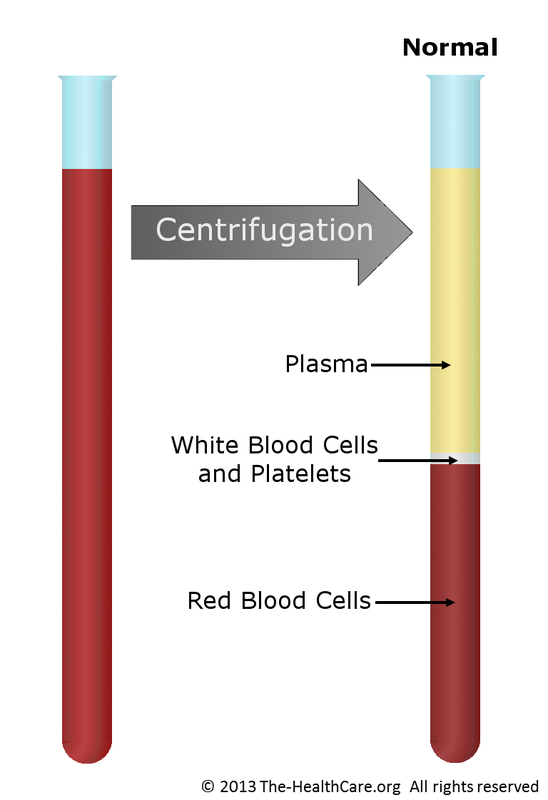 When the patient’s blood sample is spun in a centrifuge, white blood cells and platelets rise to the top in what is known as the “buffy coat.” The heavier red blood cells sink to the bottom where they are calculated as a percentage of the total blood sample. 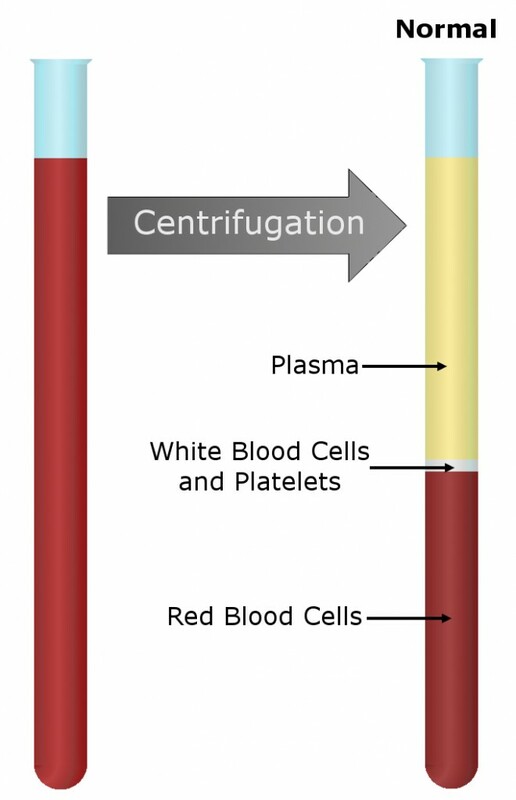 A CBC is a more comprehensive evaluation of the blood, measuring RBCs, white blood cells and blood clot-forming cells called platelets. Complete blood counts are performed on machines called hematology analyzers found either at reference veterinary laboratories or in hospitals. There are advantages and potential limitations to performing tests in a veterinary hospital compared to a reference veterinary laboratory. To learn more, please click here. If there is evidence the bone marrow is not functioning properly, a veterinarian should recommend evaluation of a patient’s bone marrow. Proper treatment of low RBCs requires a thorough diagnostic investigation to determine the cause the anemia. The testing process can be complicated, and consultation with a board-certified veterinary internal medicine specialist can be invaluable to ensure the testing process is logical and cost-effective. 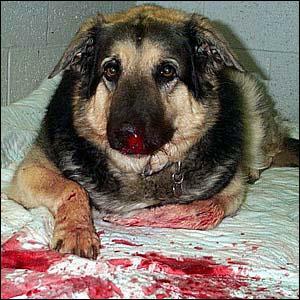 Patients that are bleeding require immediate intervention stop the hemorrhage. If the bone marrow is not functioning properly, evaluation of the marrow itself is necessary. When the immune system begins destroying RBCs, aggressive therapy is essential to maximize the likelihood of a positive outcome. Anemia or a low red blood cell count may happen because of bleeding, decreased production of RBCs, or destruction of them by drugs, infectious diseases, certain foods or the immune system. Measuring RBCs is relatively straight forward but determining the cause of anemia can often be challenging. For that reason partnering with a board-certified veterinary internal medicine specialist can be uniquely helpful to ensure the most appropriate tests are performed and treatments are prescribed for an affected pet.